We combine the metaphor and poetry of Contemporary Indian Dance with social justice themes to create original dances that tell stories about the lives and dreams of women around the world and inspire audiences through visual and emotional experiences. 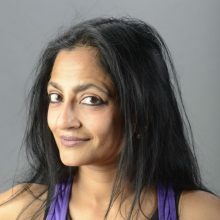 Ananya Dance Theatre will participate in the Dance Managers Collective 2019 APAP Showcases at Ailey Citigroup Theater. The company will present two showcase performances beginning at 12:30pm and at 2:30pm, Saturday, January 5, 2019. The Ailey Citigroup Theater is located at 405 West 55th Street @ 9th Avenue, New York. Ananya Dance Theatre will be represented at Booth 133 Rhinelander by its managing director, Gary Peterson. We offer performances, workshops, master classes, residencies, and dialogues throughout the year, but September-to-December and March are the best times for us to travel. Ananya Dance Theatre has been presented in 16 other U.S. cities and 13 countries. Choreographer Ananya Chatterjea uses two primary metaphors to explore relationships among global south communities linked by Indian Ocean trade routes that pre-existed colonization and slavery: Indigo, an important export/import on these trade routes across Asia and Africa, and blue jeans, whose ubiquitous presence in global commerce falls differently on our skin, mediated through histories of denim and indigo. “Shaatranga” (seven colors) seeks to transform the “blues” lens through which black and brown women are typically seen to recognize their multihued dreams and work. 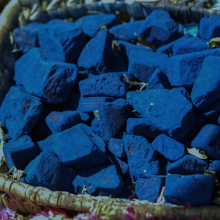 Several engagement elements accompany this 90-minute production: an interactive blue jeans exhibit, indigo-dyeing workshop, master classes, and “story-ing” projects. “Shaatranga” is being developed in partnership with The O’Shaughnessy, supported by a Joyce Foundation Award. The production will be available to tour following its premiere in September 2018. “Sutrajaal” (connected webs) launches In Response, a multi-year, multi-dance series of artistic rejoinders to urgent issues in global communities of color. Like a delicate spider’s web, spun from the spider’s body to connect the hard corners of two unmoving walls, the juxtaposed stories of “Sutrajaal” will negotiate the tensions and resonances among memory fragments, historic references, and visions of future horizons. Several engagement elements accompany this project, including community CONNECT workshops, master classes, and ‘story-ing’ projects. “Sutrajaal” is being developed in partnership with The O’Shaughnessy. The production will be available to tour following its premiere in September 2019. Community conversations: Listening circles designed to respond to local concerns and engage with leaders and community members. Audience Empowerment Workshops: Participants watch, discuss, re-watch, and partake in movement exploration to connect with the metaphors and energy of abstract dance. Participatory performances in non-traditional spaces: Audiences and our dancers combine as part of a guided ecological tour. Arts Access Workshops aka Choreographing Identity Workshops: Training in the basic principles of Yorchha™ and the process of creating movement based on participants’ shared ideas and experiences. For all levels and abilities. Master Classes: Formal training in core principles of Yorchha™ for intermediate and advanced students and performers. Lectures: Dr. Ananya Chatterjea speaks on art and social justice. 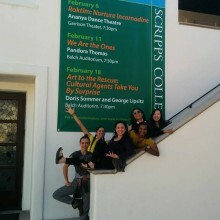 Read about Ananya Dance Theatre’s residency & performance at Scripps College, Claremont, California, February 5-8, 2016. 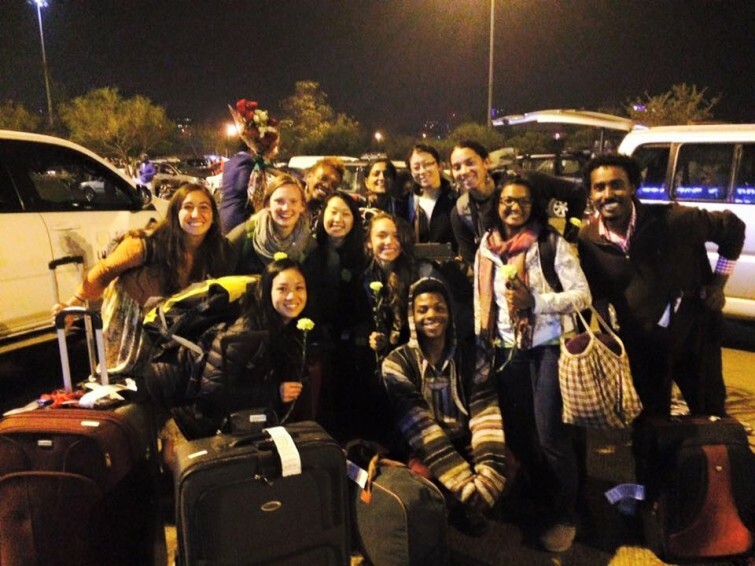 Read about Ananya Dance Theatre’s residency & performance at the Crossing Boundaries Festival & Conference, Addis Ababa, Ethiopia, September 21-28, 2015, sponsored by the U.S. State Department. 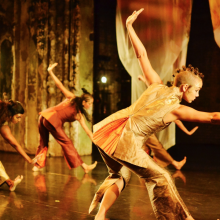 Read about Ananya Dance Theatre’s residency & performances at Links Hall, Chicago, Illinois, April 13-19, 2015, with support from Arts Midwest, the National Performance Network, and the Elizabeth F. Cheney Foundation. Read about Ananya Dance Theatre’s residency & performance at the Historic Holmes Theatre, Detroit Lakes, Minnesota, November 6-8, 2014, with support from the Lakes Region Arts Council and the Minnesota State Arts Board. Read about Ananya Dance Theatre’s classes & performances at the Harare International Festival of the Arts, Harare, Zimbabwe, April 26-May 3, 2013, with support from the Mid Atlantic Arts Foundation through USArtists International. Read about Ananya Dance Theatre’s performances at Temple University, Philadelphia, October 5-6, 2012. Read about Ananya Dance Theatre’s performances at New Waves! Dance & Performance Institute, Port-of-Spain, Trinidad, July 22-August 1, 2012. Please see our technical rider for specific touring facility requirements.